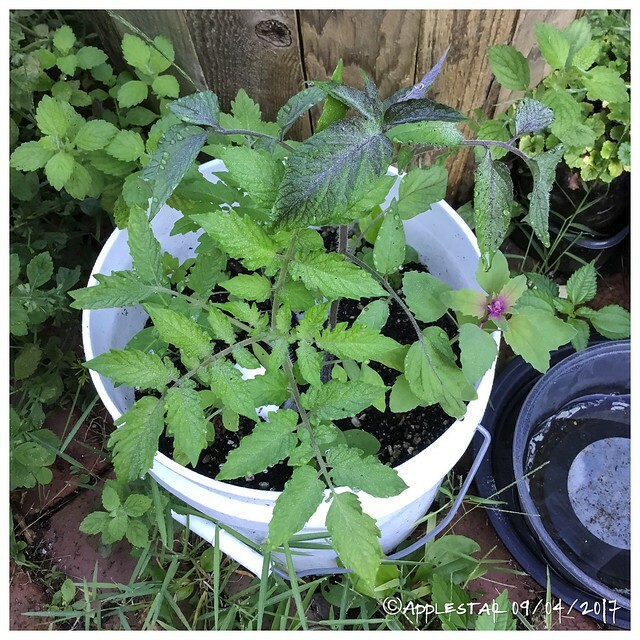 Volunteer tomato seedlings from compost I added to this 2 gal bucket planter - one of them is antho PL ! .... oh... what to do....? Its already September -- first frost could be as early as mid-October. This bucket is meant to be for not table-worthy Blueberry culls in case any of the seeds within decide to sprout. In fact I *think* there is one little Blueberry plant growing in here already. applestar wrote: This is Uluru Ochre. It's a genetic dwarf -- only 3-4 feet tall, but one of the newer generations that produce really nice sized slicers. And it is VERY productive as well. This one was 9.2 oz I believe and I actually grew it in a 2.5 gallon container. It's also one of the "new" color tomatoes. I had such a difficult time trying to get the photo to turn out the right color. The whole fruit could be a little lighter yellow-orange color, which puts it in the "YELLOW" tomato category in tomato parlance. But it has green shoulders, which you may have heard is an old-fashioned trait bred out of modern solid red tomatoes which actually has great flavor genes linked to it. It also retains chlorophyll in the flesh and gel that give it that really icky greenish.brownish cast to it that give you a pause. When I first saw photos, I thought "how UGLY!" But seriously, this is an absolutely delicious tomato. 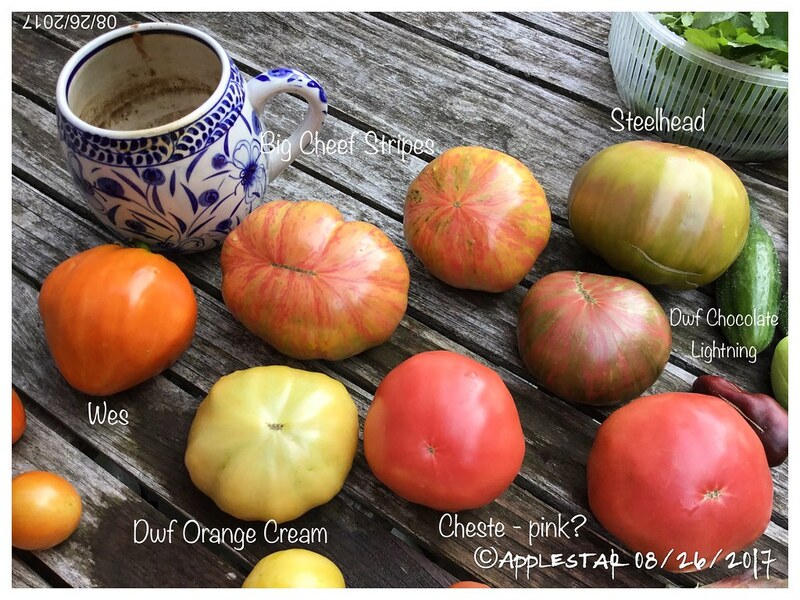 If you like black/brown tomatoes, I think you will like this one, too. You HAVE to try it to believe it. I will have to try that now, apple, due to your recommendation! This was one of the dwarfs I had in a list of "ones to try", when I was researching them before this season. Didn't get any of them, but I am definitely going to try some next season. I am looking for something indeterminate (I notice many are indeterminate, but most determinate), and something 4-5 feet, not something very small. Any suggestions? 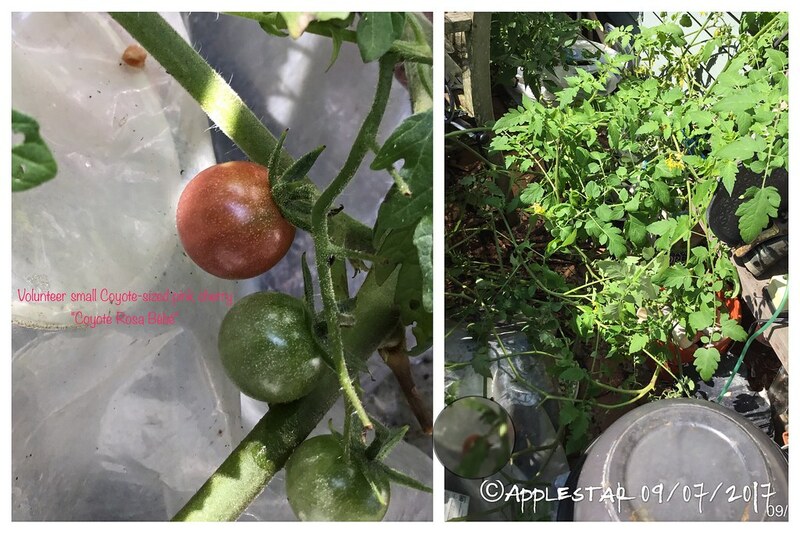 I think what got me thinking about the dwarfs again was when that nylon trellis of mine collapsed, because all of those tomato plants got so huge in those SIPs! Funny thing - none of them died, and they are still growing on the ground! From now on, all tomatoes only go on metal trellis - CRW! Have you had any problems with splitting this season, with all this rain? Even in the SIPs, I have been having major splitting, with some varieties having almost every fruit split after some of those worst rainfalls. Fortunately, cherries recover quickly! Ohhh, I have some good ones for you to try, including Uluru Ochre! I'm in the process of weeding out the "mild" flavored ones which are not my/our favorites. Even good ones that are not fully counter ripened have been pronounced not good enough here -- yes have had some issues with overwatered/rain-soaked splitting, though not a whole lot ...most of this year's selections have been split-proof, though many have had stem-end cracking that reduced but not prohibited storage/keeping longevity. DH and I like full-ripe, rich strong/complex front end flavors with building middle salt/umami, then good tangy finish, some with lingering acid afterburn as long as there is sweetness up through the the middle flavors. DD will also sometimes prefer richer flavored ones over sweeter but weak middle/finish varieties. What kind of tomato flavors do you like? I'm guessing you might favor ones with good acid kick at the end which are typically great for Southeast Asian/Indian cuisine. Try to be specific -- I can put together a list. Dwarf Chocolate Lightning is another one on ours. 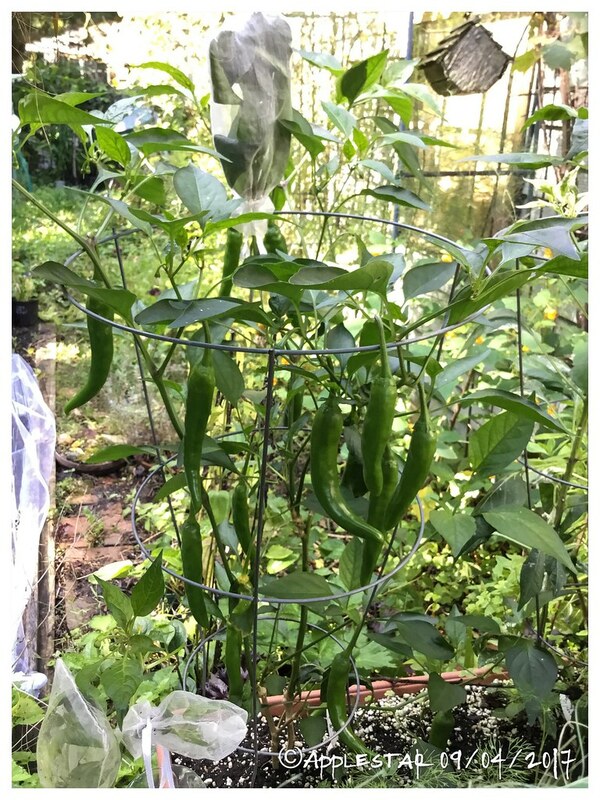 This is an overwintered 2nd year Gochu Garu yong Gochu 고추 가루 용 고추 (Pepper for chili powder) -- bought as started seedlings last year at Hmart -- being very productive in the Earthbox on the patio. You guessed right, apple. I prefer tomatoes with a stronger, tangy flavor, with that long finish, and mild tomatoes just don't hack it, for me. It seems that the juicier tomatoes always have more flavor. I like sunsugar, for a sweet tomato, but that's more for snacking on, and they make a delicious dried tomato, again, for snacking. Impressive and since you look like you've grown every tomato known lol. I have a question, what would you recommend to replace a Cherokee purple with, I love the tomato but it splits way before it even starts to ripen, they're way to finicky for me, any ideas on a good replacement. Its a shame because I absolutely love the tomato. I'm hoping to find a decent slicing tomato, it don't have to be a beefsteak but something decent for slicing. For next year I plan on Brandywine Reds, Celebrity, Box Car Willie, Sprite, and Matts Wild cherry. Here are a few that I am interested in. Ooh OK. Let me think about yours as well SQWIB. Had a rough day today and my brains are fried so I will try to work on this tomorrow. SQWIB I know where you're comin' from with the splitting problem. 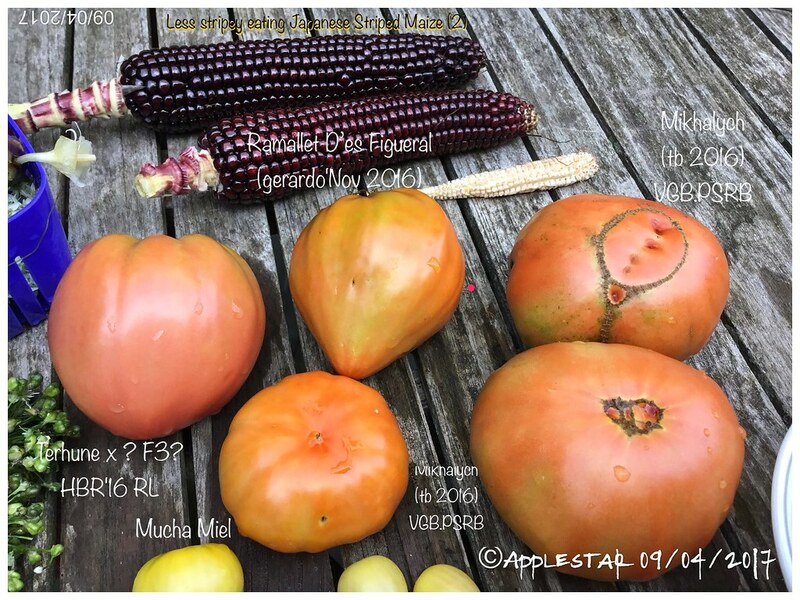 The only year I grew Cherokees, I got barely any usable fruits, and this season, with a Cherokee/Carbon cross, I had a huge number of tomatoes, but most were split, due to the excessive rain we've had. Even the ones in the SIPs were splitting, and those usually keep the wetness fairly constant. The Big Beef and Amish Gold Slicer had some splitting on their shoulders, but those were split all the way around. In the past week, it has been ripening one fruit at a time from this truss -- and the fruits are Coyote/Matt's Wild sized 1/2-sized small cherry and PINK! I didn't even hesitate, I popped the first one in my mouth and was delighted to taste the sweet-fruity flavor-burst reminiscent of Coyote. I want to call this "Coyote Rosa Bébé"
Are you going to save seeds, apple, even though it seems to be a hybrid? I'm going to treat it like my other crosses -- it's likely to be one of the Maglia Rosa x Coyote segregates anyway -- save seeds, grow out a few, and hope same traits pop back up. The clear epi is a good sign since that's a recessive trait and locked in. The location makes it somewhat isolated from other tomatoes, too. pepperhead212 wrote: You guessed right, apple. I prefer tomatoes with a stronger, tangy flavor, with that long finish, and mild tomatoes just don't hack it, for me. It seems that the juicier tomatoes always have more flavor. I like sunsugar, for a sweet tomato, but that's more for snacking on, and they make a delicious dried tomato, again, for snacking. Thanks apple! And yes, I do have to trim that curry tree soon, as I want to root prune it , as well, and repot it. I just did this with my small kaffir lime tree, and have to trim the large one, as well. Do you need lime leaves, as well, or are yours supplying enough? Looking at your list, some sound familiar, and two of the non dwarfs I have grown. Prudens Purple and Royal Hillbilly I grew years ago. The Royal Hillbilly was disease prone that year, so I never grew it again, though it may have just been a bad year for all, I don't recall. And Prudens Purple was very good, but low production. I have considered growing it a number of times, esp. since I have grown in SIPs, since it was very flavorful, despite being a low juice tomato - something that doesn't happen often. And I had a number of tomatoes well over a lb. - I think just under 24 oz being the largest. 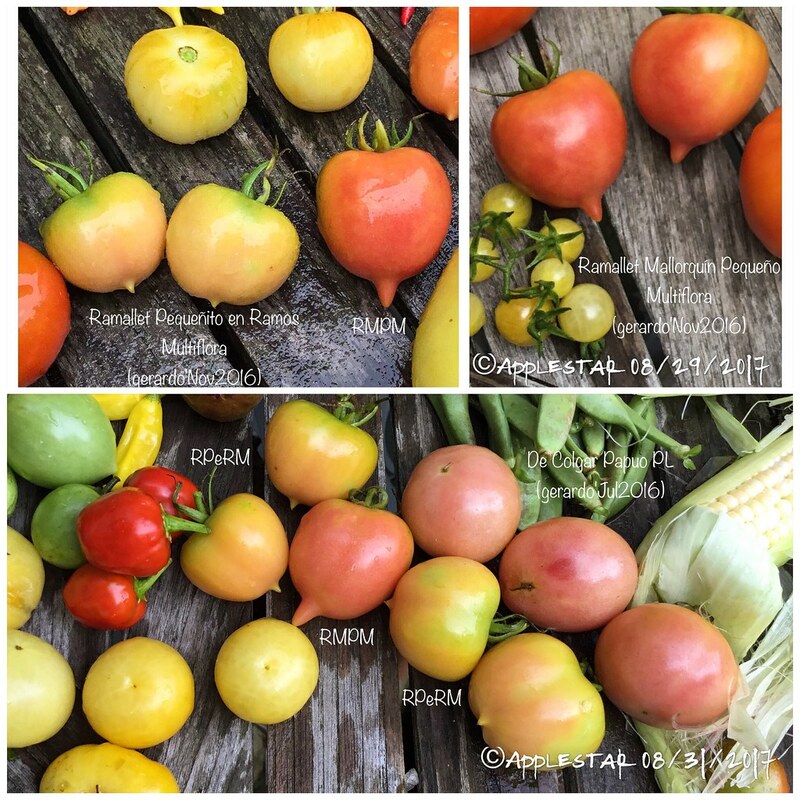 Here is the list I made that looked like promising varieties of dwarf or compact tomatoes. Do any of the others, that you didn't list sound familiar from past growings? The Blazing Beauty was one I had looked at closely (partly because it did well for somebody down in Florida! ), but one source listed it is determinate, while another has it as indeterminate, which is why it wasn't on the list. Which is it, in your experience? I don't do determinates, as a rule, as I like a longer production, not all at once, then none. tomatoes and peppers in or out?